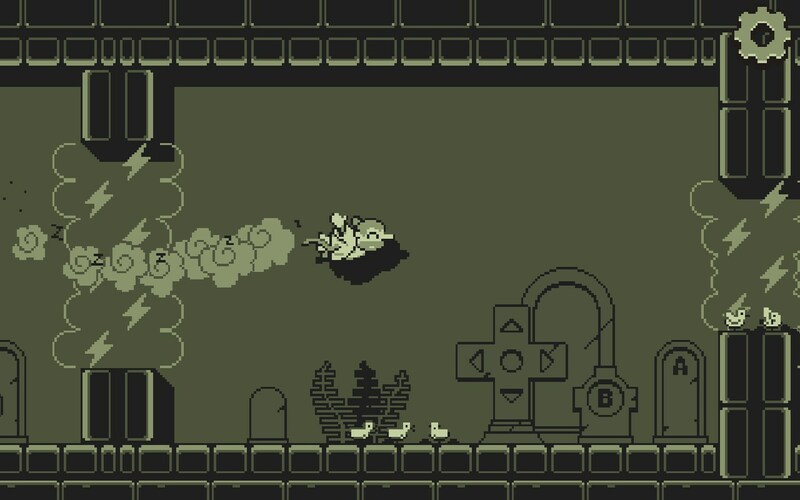 8bit Doves – Games for Android 2018. 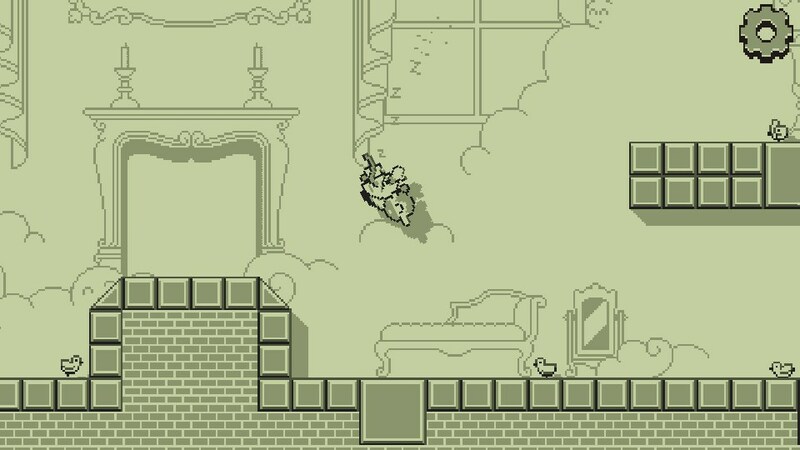 8bit Doves – Frustrating dot-matrix flying game. 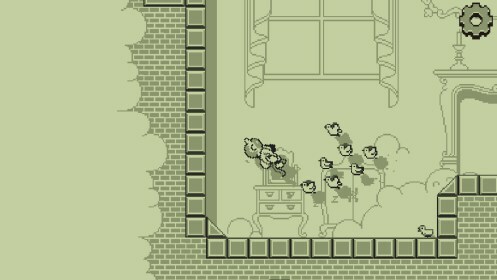 8Bit Doves for Android is one of the most frustrating games I have ever played. I would like to mean that in a good way, because I desperately want to love this game. But it's so hard to like a game that makes you want to scream in a blind fury and hurl your phone at the nearest wall. The promotional video shows the character crashing again and again and again. The crashes get more frequent as they become part of the 8bit soundtrack. They are not joking: this is exactly what happens to you in the game. And what makes it even more frustrating is that the game feels like it should be easy. 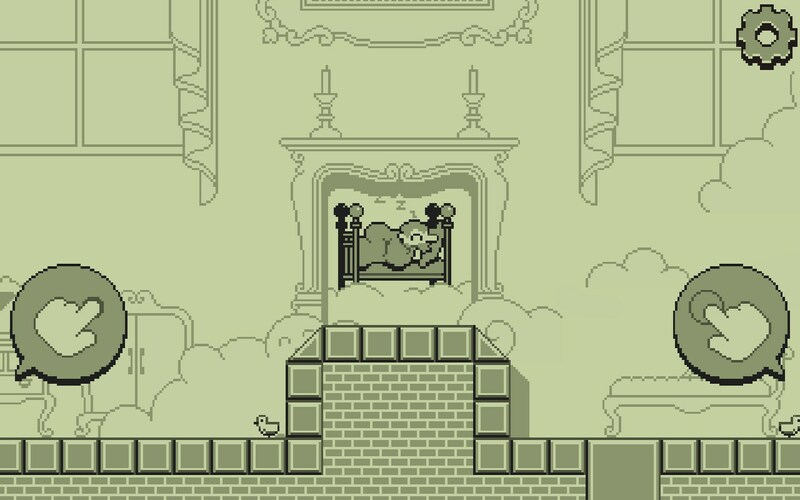 Your character starts in bed until you launch him into flying with two buttons - left for lifting, right for diving. He will, anyway, dive, which leads to an unbalanced mechanic that is seriously tricky to get the hang of. 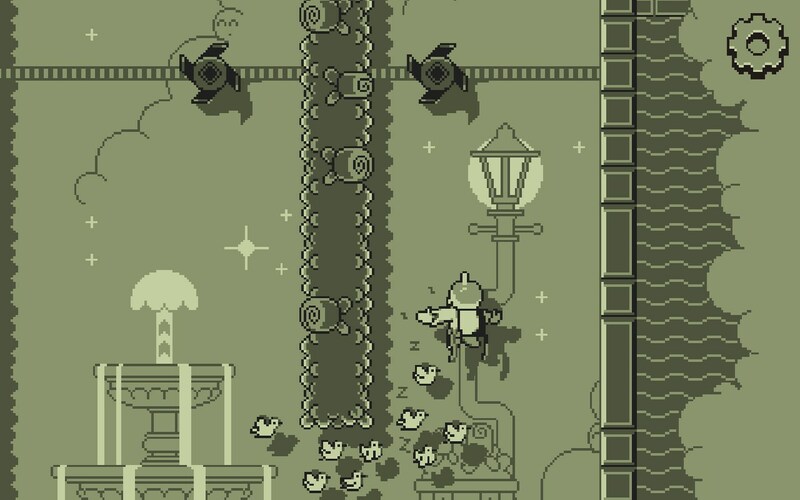 The objective is to fly next to as many doves as possible before crossing the finish line in each level; without bumping into any walls. The graphics are so toned down that it took me a wile to figure out where the finish line was on the first level. 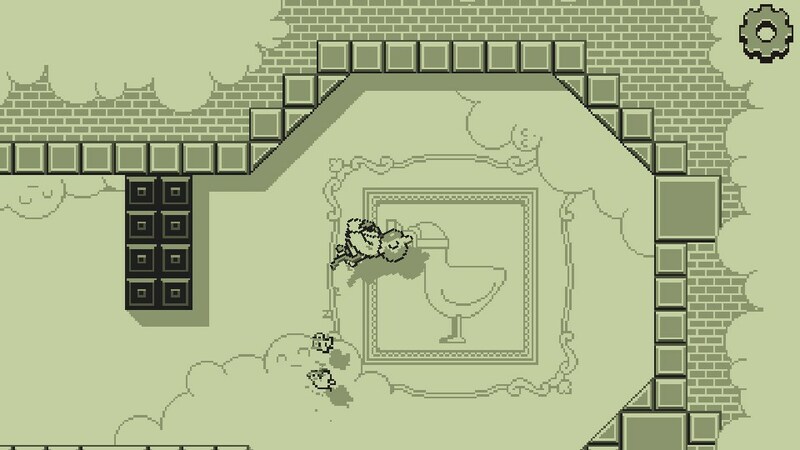 I just got all the doves following me around, and was expecting something to open up - but the checkered finish line was there for me to cross all the time. As you move up the levels there are moving blocks and narrow pathways, so you need to have good timing and judgment. 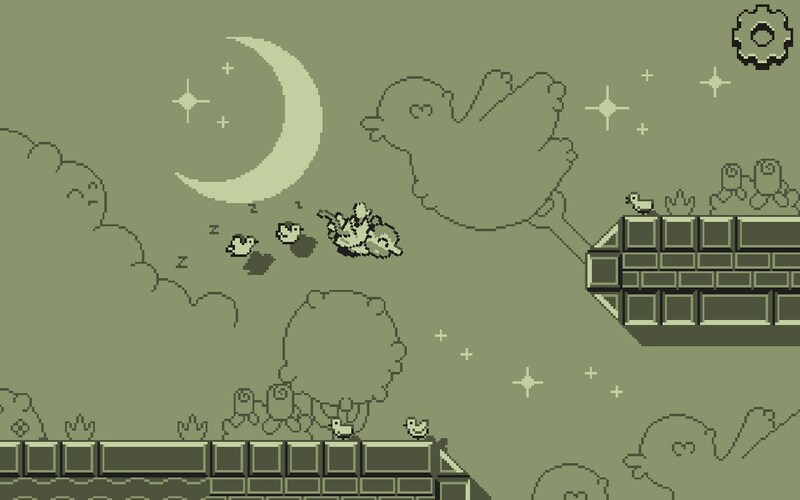 8Bit Doves intentionally looks and sounds just like an original gameboy game, complete with dot matrix style effects and 8Bit tweeting. The soundtrack is really quite beautiful. Buy this game if you find everything else too easy, and are looking for a challenge. Don't buy it if you easily lose your temper.